The Golden Bear, the winner of a record six Green Jackets, returned as an Honorary Starter to get the 81st Masters Tournament underway alongside his good friend, Gary Player, a three-time Masters Champion. Arnold Palmer, a four-time winner of the Masters, was remembered in a special ceremony before Nicklaus and Player hit their tee shots. Palmer’s Green Jacket was rested on a chair and a moment of silence was held, prompting tears of remembrance by fellow “Big Three” members Nicklaus and Player. 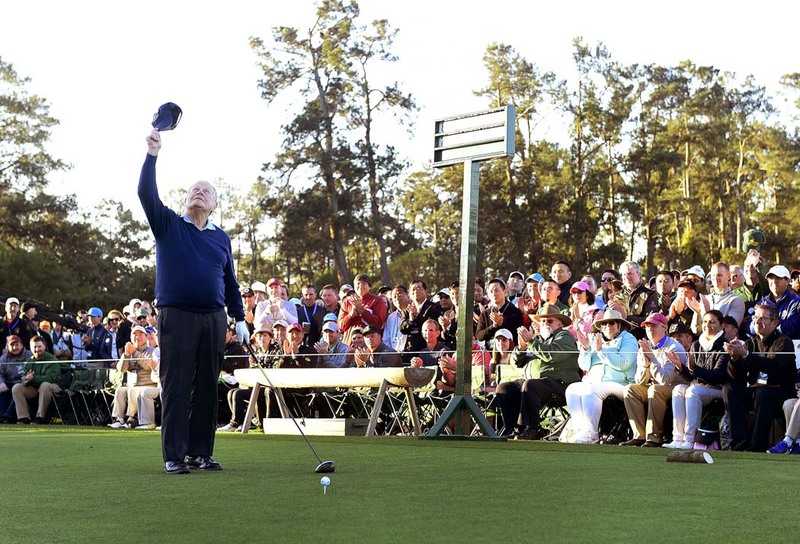 The Golden Bear tipped his hat in a final salute—an iconic image that has since gone viral.